YouTube has turned nine, and it celebrated by singing a few of its favorite songs. 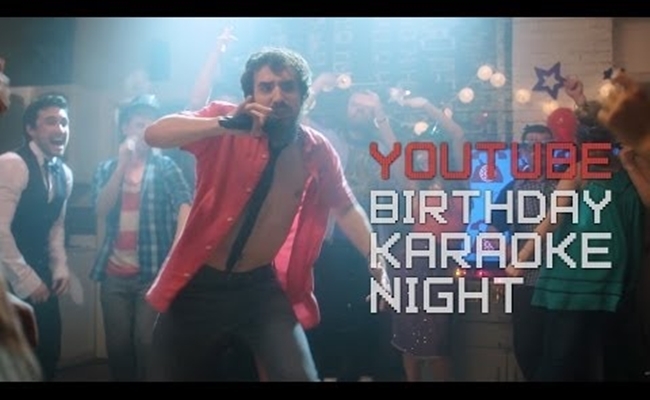 In a video released on the YouTube Spotlight channel, a handful of the site’s top stars belt out karaoke versions of YouTube’s greatest hits. The four-minute video runs through nine years of viral YouTube hits. Chester See kicks things off with a rendition of “Chocolate Rain” before Tay Zonday himself arrives to belt out his version of the “Bed Intruder Song“. Other highlights include MysteryGuitarMan‘s on-point cover of the “Trololo” song and Steve Kardynal‘s hilariously off-key mangling of “Call Me Maybe“. There are plenty of other YouTubers in attendance, and they team up to sing karaoke versions of eight different YouTube classics. YouTube has often used music to celebrate important milestones. The year-end YouTube Rewind series has become an annual tradition that sets a montage of the previous year’s most popular videos to the tunes of that year’s most popular songs. The latest edition of YouTube Rewind was produced by Portal A, which also teamed with YouTube for the karaoke video. If the ninth birthday celebration gives you a feeling of déjà vu, that’s why.